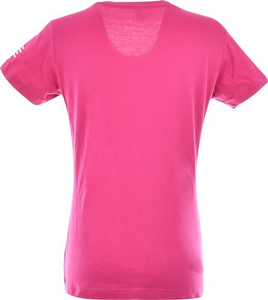 This Women's Fuchsia HOPE V-Neck is a bright and colorful new shirt to add to your AFSP T-shirt collection. 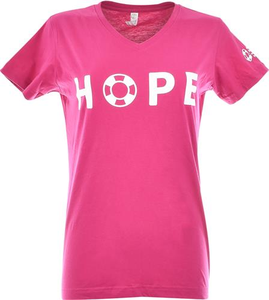 It features the word, “Hope” using our newly-designed lifesaver as the “O.” The shirt also features our new logo on the left sleeve. It’s a great, cheerful reminder of our mission to save lives and bring hope to those affected by suicide.